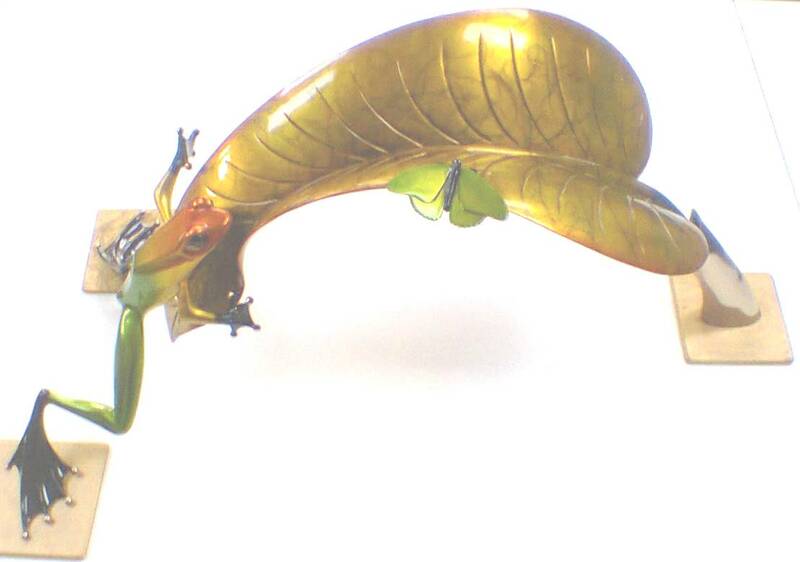 See Over The Top – A Custom Made Frog! Come along to our special Frogman event at ARTfull in Central Milton Keynes on Saturday 21 March to see this stunning frog sculpture in our very own custom patina. You can also meet Vikki and Susanne the UK agents for Frogman in the UK ; see some other rare and special limited edition bronzes and win a frog in our fee-to-enter raffle ! Our especially commissioned Over The Top ( last year’s is shown above ) is 27.5 x 11.3 x 13 inches in size, costs £ 3495 and will be revealed for the very first time on the day ! For further details see ARTfull Show Time in Milton Keynes.